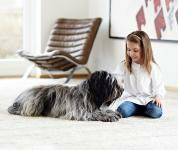 With a Nilfisk Central Vacuum Cleaner all unpleasant odors and micro-particles are blown outdoors. Dust is dust - long before it is visible. We inhale dust particles from our surroundings, even when the room has just been vacuumed. Part of the reason is that ordinary vacuum cleaners blow some of the dust they collect back into the room. 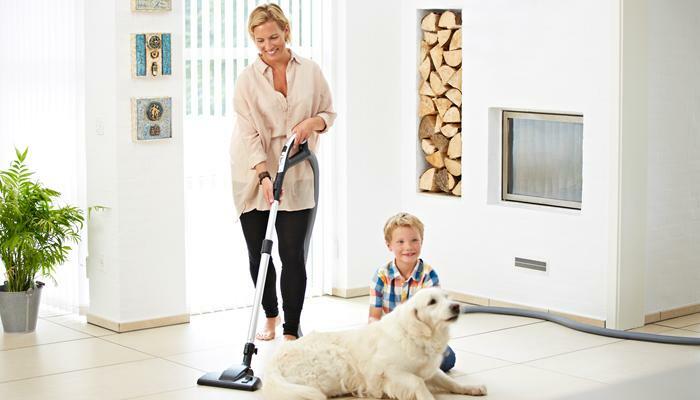 The Nilfisk central vacuum cleaner completely removes dust from the room and puts it into a large, ‘remote’ container and the exhaust air are led outside the house - which means that all micro-particles are blown outdoors. This is why central vacuum cleaners are often recommended for allergy sufferers. Not only do they leave rooms dust-free and thoroughly clean, they are also able to pick up pet hair and reduce the impact of allergic agents. A Nilfisk vacuum cleaner solves the problem once and for all. Odors are removed from the room since dog and cat hair is efficiently picked up. The air is filtered and vented outdoors. The result is a better indoor climate for all pet owners. Cleaner air also helps relieve the symptoms of allergy sufferers. Studies by the University of California Davis School of Medicine have showed that a central vacuum cleaner provides measurable benefits for allergy sufferers. Poor indoor climate is one of the major problems for allergy sufferers. A central vacuum is often recommended, and now the University of California has investigated whether they really help. This efficient form of cleaning does more than just pick up dust - it removes dust totally from the room and collects it in the central vacuum unit, which is located at an out-of-the-way place, such as in the garage, attic or basement.